Chances are, you’ve heard about Marie Kondo from her bestselling book, The Life-Changing Magic of Tidying Up. Although published 5 years ago, the KonMari method is still going strong. Today, her popular Netflix show Tidying Up with Marie Kondo is taking the country by storm as they frantically purge their homes of possessions that don’t bring them joy. 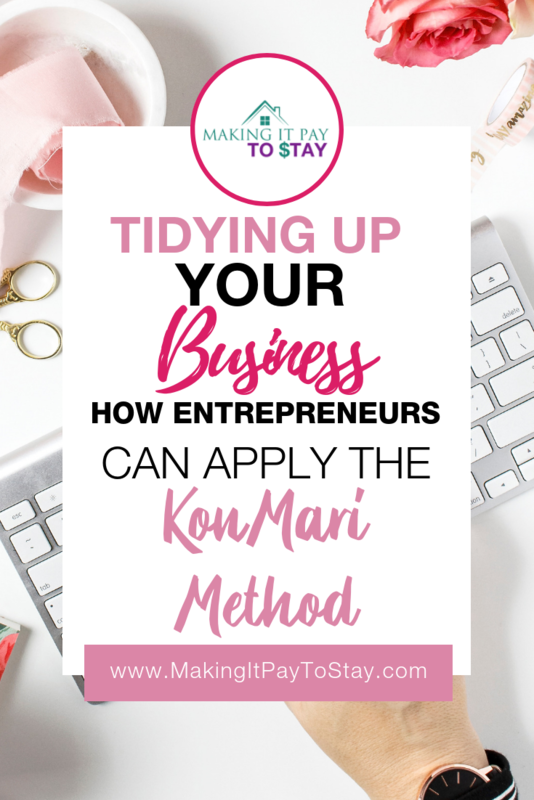 If you’re an entrepreneur, there are some lessons and methods you should be using to start Tidying Up Your Business. 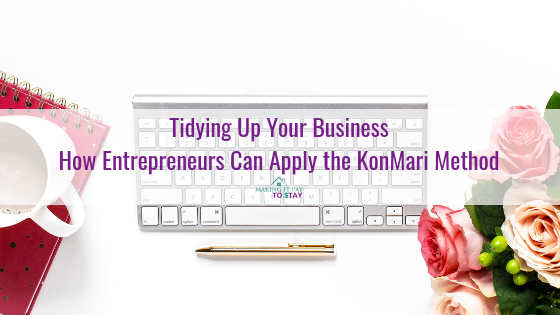 Let’s take a look at how entrepreneurs can apply the KonMari Method to help their businesses run more lean and efficient. So, what is the KonMari Method? First, you need to commit to doing what it takes to “cut the fat and distractions”. Create a vision board of your ideal lifestyle. Go over your systems and software and cancel/replace any that are not working well. Where is the bottleneck? How can you ditch the processes, products, or services that aren’t profitable AND causing you frustration? Break down your systems and expenses by category. Start with expenses and decide which ones aren’t necessary. Cancel them. Look at your current systems from onboarding and marketing to closing a deal to customer retention. Which area needs to most attention? Stay on task and in order. Ask your team and yourself if each piece of your business brings joy/profit/and makes things run more smoothly. Team members – consider their strengths and weaknesses. Would they be better suited doing something else? Ask for their feedback. Don’t forget to also carefully evaluate your own role. What are you doing that should be outsourced to someone else? What’s your real core of genius? 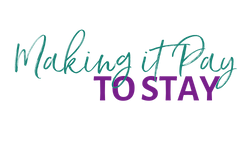 Branding and Marketing – Does your brand need an overhaul? Does it accurately speak to your target audience? Are you marketing where your audience hangs out? Do you need to cut down on advertising or ramp it up? Are your expenses bringing the ROI they should be? Systems – Do you have SOPs (standard operating procedures) in place? If you’re a freelancer or solopreneur, who will be in charge in case of an emergency? Are all of your systems as automatic and seamless as possible? 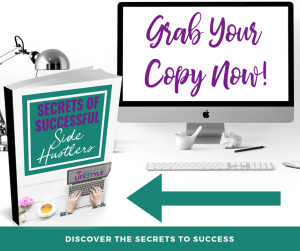 What’s not working and how could you make that better? Is invoicing working well? Is your bank charging fees? Do you have a project management system in place? Miscellaneous – Do you need to raise your prices? Is your customer experience joyful from beginning to end? What do you find yourself avoiding? Do you need to move to a paperless (aka in the cloud) way of handling paperwork? Does your work area spark joy? Do you enjoy being in your office/workspace and is it conducive to productivity? Emotional investment – Do you still promote services and/or products that may bring in income but aren’t still aligned with your company’s mission? Are you hanging on to your first client because you like them but they may not be a good fit anymore? Where are you making emotional decisions in your business that aren’t the best choice? Start by going over each of the above categories and making a list of everything that does not “bring joy” to your business. These could be measured by usability, price, ROI, time, etc. Once you’ve got your list of things that are flagged, go through one by one and consider individually. Should you downgrade your package? Could you replace it with something else that is more user-friendly? Are there services that could be swapped with less expensive options that are equally effective? You may feel loyalty to a particular item, or perhaps they ONCE worked well but their structure has changed and they no longer bring you joy. Remember, go through each category before moving on to the next. Rinse and repeat for each category. I recently did this with my autoresponder. I had been using ConvertKit, but when I upgraded my Clickfunnels account, I started using their email processor instead. It didn’t do what I needed, so I moved back to ConvertKit. A few months later, there were areas I needed to streamline and new features I needed so I switched to ActiveCampaign. For now, I’m extremely happy with ActiveCampaign, but if I need a feature or process that they don’t offer, I’ll look around again. Using the KonMari method in my businesses every quarter keeps me on track. While tidying, be sure to keep your vision board in sight, or at the very least, envision your lifestyle as you’re purging and changing things up. For example, if you want to be able to work from wherever you want, is there something that’s holding you back from doing so? Perhaps a desktop computer or phone without a hotspot? If you could replace your desktop with a laptop and your cell phone plan to include a hotspot, would that enable you to be more mobile? Do you need to start keeping your planner and calendar online so you can access it from anywhere? Once you’ve gone through Tidying Up Your Business, be sure to set a reminder on your calendar to do it again every 3-4 months. 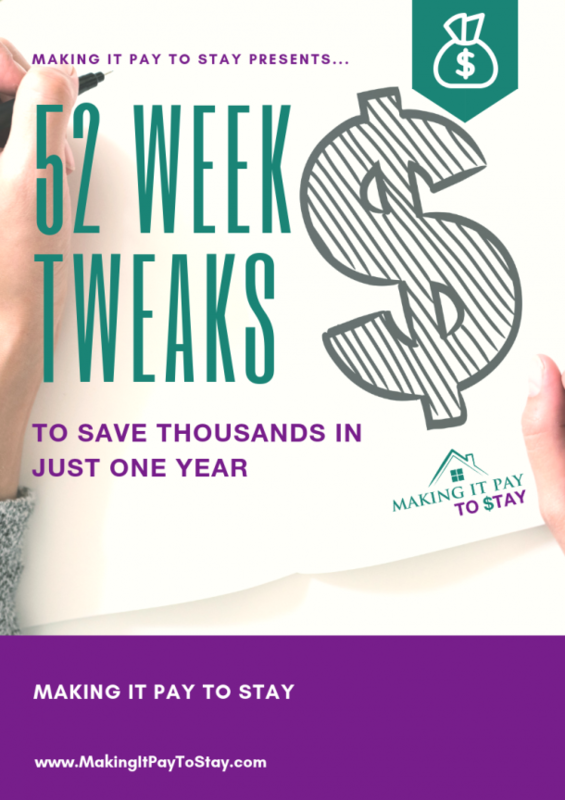 You’ll save money and frustration and finally free up your business to grow now that the clutter is gone!